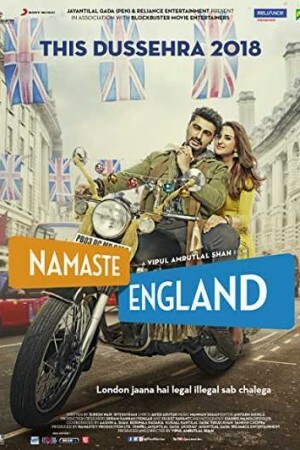 Namaste England, the second in the Namaste London franchise is an Indian romantic comedy based on two lovebirds Param (played by Arjun Kapoor) and Jasmeet (played by Parineeti Chopra). Like any love story, they both meet & fall in love and get married too like a few out there, but the twist comes when the girl moves abroad to pursue her career, eventually breaking the relationship. Lovestruck Param follows her to wherever she goes to convince her and prevent their marriage from ending in a vain. The movie reveals if Param gets the love of his life back or they separate for once & all.